« UPDATED: Terror Plot Uncovered In Texas? This entry was posted on Wednesday, October 19th, 2011 at 17:45 and is filed under GOP Establishment, News, Politics, RINO Alert, Tea Party. I suspect that your observations regarding what you called "the problem with the Republican party" had a role to play in Sarah's decision. In the 2008 campaign, as shared in her book Going Rogue, she saw it for all its ugliness up close and personal, including having members of McCain's staff personally attack her while he sat by with his thumb up his you-know-what! This is exactly what she was going to have to be dealing with in a national presidential campaign and these traitors were supposedly on her side! Given her youth, I believe that part of her decision was to step back and develop a strategy to take the Republican Party back from the Permanent Political Class from the ground up by working for Constitutional Conservatives at the governor and congressional levels. Given her track record in 2010, it looks to be a winner. I've long discounted Dana's acuity. Suppose if you were in the last term of the GWB White House, even RINOs look conservative. Bigger story is Sarah Palin promoting Gingrich, yuck! Yes, I agree that a better name is needed. Suggesting that Romney is pro-Agenda 21 is more than disingenuous and wrong it is also irresponsible. When does it honestly become a legal liability for someone, anyone to blatantly defame people (Romney too) w/out the benefit of having to qualify their remarks. This is the height of the problem – people (inlcuding you Mark) feel the latitude to say whatever you want and if you make it public one has to conclude that it is for the benefit of persuading others to your point. But to do so w/out feeling a sense of responsibility to qualify what you say is part and parcel to the irresponsibility that plagues our society and the dissemination of factual information. Keith, I don't know whether Romney is pro-Agenda 21, but his previous stances on environmental issues suggest that he's of a mind to be in agreement with it. I doubt whether Romney ever came out and said "I am for Agenda 21". Things like that don't get that form of support from politicians. Mark, not surprised you picked up on Dana Perino's Romney pom-pom rustling on Hannity. I did, too. Immediately. And not surprised by Perino's true colors, just very, very amused by her blatant, empty, paint-by-numbers advocacy. I don't think I'd ever seen her that unfettered about her moderate mush values. I believe Varney was discussing Cain's 9-9-9 plan and how the others didn't have one. 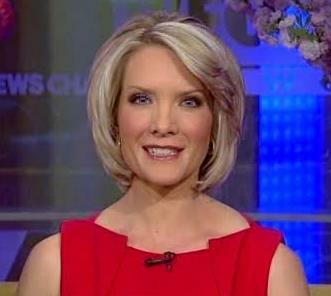 She piped up instantly, imploringly reminding viewers: "Romney has a plan!" She was openly biased for Romney and spent her entire airtime nudging what was supposed to be objective analysis into a Romney pitch. It really hit home for me: George W. Bush is a good man and I thank him for his post-9/11 diligence. But neither he nor his administration (Perino included) were ever one of us. Just wish I'd fully grasped that long ago. Before you blanketly label me also..
Just for the record I would love a Sarah Palin Presidency as well. "If you're a Tea Party patriot or a conservative, you are probably angered by all of these phonies in media telling us who is or isn't a conservative. " I come from an old-school conservative family and have always considered myself a constitutional conservative. Being a bit of an outsider here on Mark's site (I support Ron Paul) I have to say that, yes, it does anger me sometimes to see the media spouting nonsensical garbage in the name of conservatism. If only the Republican Party could agree on getting back to it's traditional conservative values (which is what wins elections) we wouldn't be faced (as we are now) with the ridiculous task of considering anyone other than a conservative candidate for our party. Jamestown. We need another option. Whatever Rino is in office in 13', will be worthless. I predict that it will be brutal. We have to have everyone ready. They don't know that they will be ready, but we keep getting the message out, it will hit them right in the face when the time is right.